Are you 100% certain you would properly handle an emergency HVAC problem at your commercial facility if it happened today? Most commercial building owners and facility managers would like to say “yes” to that question, but most would also have some nagging doubts in the backs of their minds. Since hesitation and indecision can lead to additional expensive downtime and potential damage, it pays to remove those doubts and know exactly what you need to do if a serious problem presents itself. 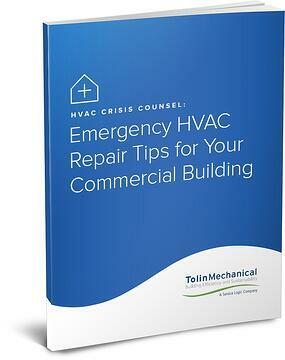 The brief but valuable guide also includes a handy checklist you and your staff can run through the moment an unexpected HVAC problem occurs so you’re sure to handle the problem quickly and efficiently. Since “time is money,” and HVAC downtime can be both inconvenient and potentially dangerous, we urge you to become familiar with Emergency HVAC Repair Tips today. Simply fill out the form on this page, and you will receive this guide within seconds.